Neill Blomkamp's proposed version of Alien 5 is truly dead. According to the director, the time for his sequel to James Cameron's Aliens has come and gone. The future of the franchise is very much up in the air right now, but barring some absolute miracle, the sequel that at one point seemed to be a priority for Fox is dead in the water. Neill Blomkamp has refocused his efforts on original projects, but he's not totally done with Hollywood movies either. The District 9 director essentially willed Alien 5 into existence a few years ago. While working with Sigourney Weaver on Chappie, he came up with an idea for what would have reportedly ignored the events of Alien 3 and Alien: Resurrection. After sharing some concept art online, which took off like wildfire, Fox jumped on the idea and Blomkamp started developing it, with Weaver and members of the original cast on board to return. Sadly, once Ridley Scott decided that he finally wanted to make his Prometheus sequel, which ultimately became last year's Alien: Covenant, Blomkamp's movie was put on the shelf. Now, in a new interview, he reveals that he's moved on completely from the movie. Here's what he had to say about it. "Yeah, I mean, I wish I could share more, but obviously Fox owns it. It's just an unfortunate thing. I speak to Sigourney about it sometimes. At this point it's kinda like the fire that was burning within me to make that is gone. Stepping outside of even the legal kind of studio-based politics I just feel like its time has come and gone. So, yeah...I think no. And I say that really reluctantly, because I cannot state how much of a fan of Sigourney I am and how much of a fan I am of Alien and Aliens and the idea of doing a sequel to James Cameron's film is amazing on all levels. But, there's a point at which when you're years into it you have to move on. So, I think that has happened to me." For those who aren't fans of what Ridley Scott has done with his Alien prequels, and there are quite a few of them out there, this news is likely a major bummer. As Scott revealed during the Alien: Covenant press tour, Alien 5 wasn't even really that far along, as far as he knows. So, what's Neill Blomkamp up to now? He recently released a series of original sci-fi shorts through his company Outs Studios. The director is looking to turn Firebase, one of those shorts, into a feature via crowdfunding and in-house money, but he's also planning his next Hollywood feature as well. "Half of me is going down the road of trying to figure out what the best feature film is that I want to do in Hollywood; like the coolest film/experience that I want to make inside of the system. Because I obviously still love traditional films in Hollywood. So, while that's happening I have this extreme goal that has sort of been seeded in my head since 2015, which is to get to work this online studio that has a one-on-one relationship with fans. So, that means that I'm kind of like simultaneously working on potential bigger films and then I'm spending the rest of my time sort of strategizing and thinking about how to get Oats to boot up in a way that would be sustainable long term. So, right now, I'd say 2018 is hopefully going to be making the next piece of Firebase. It all comes down to whether it's episode 2 of Firebase, whether it's episode 2 and 3 of Firebase, whether we have enough money to do an entire feature film of Firebase, y'know, that's really what the question is. So, as many people as possible that liked the first film should try to fund us so we can make something bigger out of the second one and that's really what 2018 would be about." Currently, Fox hasn't announced what they're going to do next with Alien. 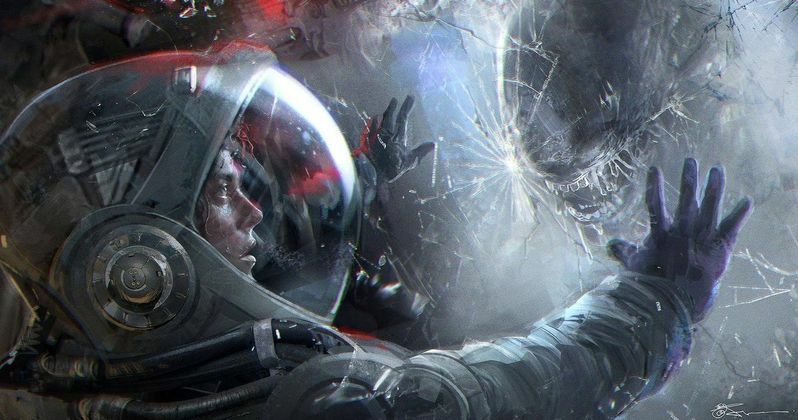 Ridley Scott planned at least one more prequel movie that would take place after Alien: Covenant and bring us to the events of the original Alien. But with the disappointing box office and mixed reception to the movie, not to mention the looming Disney/Fox deal, future plans are very much up in the air. No matter what happens, just don't expect Neill Blomkamp to dust off his plans for Alien 5. This news comes to us courtesy of JoBlo.